Your eyes are the first thing that people see. While you may be feeling refreshed and perky, when your eyes are puffy, lined and ringed by dark circles, you may look like you’ve only had a few hours of sleep. While fine lines are inevitable as we age, when they’re combined with puffiness and dark circles, you may feel that you’re not putting your best self forward. You may feel that people are noticing your wrinkles rather than you. To switch the focus back to your eyes rather than any imperfections, here’s a look at what causes under eye bags and puffiness, and some of the best eye creams for dark circles, puffiness and under eye bags. Why Does Aging Show Up Around the Eyes First? Call them laugh lines or crow’s feet. While they can be chalked up to plenty of holidays in the sun and good times spent laughing, crinkles around the eyes are an inevitable part of the aging process, which often shows up in the eye area first. Why? The skin around the eye area is delicate and thin, and it doesn’t produce as much oil as other parts of the body- which means it’s usually the first place you’ll see the signs of aging. As we get older, our levels of collagen and elastin, which support the skin, dip. This means that lines appear and the skin around the eyes becomes droopy and crepey. Although genetics and skin color are a factor, other things play a role in how quickly fine lines appear. The sun’s damaging rays, squinting, smoking and rubbing your eyes all contribute to eye wrinkles. Your preferred sleeping position and even the material of your pillowcase play a role as constant creasing of the face can lead to wrinkles. Environmental factors and lifestyle habits can also be behind puffiness and dark circles. Perhaps you do everything right – you get eight hours of sleep, drink plenty of water and wear sunscreen religiously but no matter what you do, you still have dark circles under your eyes. Dark circles can make us look more tired and worn out than we really are, and can make people look older as well. While lack of sleep can cause dark circles to appear, it’s not the only cause. The skin around the eyes is much thinner than elsewhere on the body, which means that habits and genetics show up here first. As our bodies slow down collagen production as we age, the veins around the eyes become more noticeable, making the under eye area look blue or purple. Hormonal changes can also exacerbate under eye circles, and genetics weigh in too. Those of us with olive and darker skin tones have more melanin under the eyes, which shows up as dark circles. If you spend a lot of time in front of a screen, repetitive eye strain can cause blood vessels around the eyes to enlarge. This means the skin surrounding your eyes can darken, causing dark circles to appear. Allergies can also trigger dark circles, as can dehydration. Puffiness is marvelous when it comes to things like kittens and marshmallows but there’s nothing cute about puffiness in the eye area. Many of us wake up to puffy eyes that unfortunately don’t deflate as the day goes on. Puffy eyes can be caused by a multitude of things ranging from lack of sleep to hormones and stress. Salty foods, stress and crying also contribute to puffiness, as do seasonal allergies. Puffy eyes also become more common as we get older. As we age, collagen production dips and blood flow decreases, resulting in the dreaded puffy eyes. The sun, smoking and drinking also contribute to bags. What Causes Under Eye Bags? If you have ever wanted to send your under eye bags packing, we fully understand. Eye bags are one of the most common but frustrating ailments, and there are plenty of reasons why people develop them. Chalk them up to eating too many salty foods, which can draw water into the skin’s tissue. Poor circulation also cause under eye bags. The aging process and genetics also contribute to them. As we age, our skin becomes thinner and weaker, which means that under eye bags are more likely to appear. Add in some late nights and restless sleep, and as you get older you’ll see that your skin, especially the thin skin around the eyes, doesn’t “bounce back” like it used to. Skin color and genetics also play a role. Bags under the eyes are more common in people with olive skin. What Are Some Home Remedies for Under Eye Bags, Puffiness and Dark Circles? There many ways to tackle under eye bags, puffiness and dark circles, and many people swear by home remedies. For generations women have been applying cold things to de-puff eyes, whether it’s slices of cucumber, chilled tea bags or spoons that were stored in the freezer. Applying something cold to the eyes makes sense – the cold helps depuff tired eyes by restricting the blood vessels. Tea bags provide an extra dose of ammunition as the caffeine is a powerful antioxidant than can help shrink undereye bags by increasing blood flow to the area. Other options include a gentle application of chilled aloe vera gel, or flushing out your sinuses using a neti pot if you suspect that puffy, baggy eyes are caused by allergies. Jade rollers are also popular as a manual way to depuff eyes. Although a tube of eye cream cannot fake a solid eight hours of sleep and a balanced diet, it can do wonders in a pinch. When you need to depuff tired looking eyes and lighten up dark circles, read the label on the eye cream carefully. Look for caffeine which helps to shrink puffy eyes, as well as vitamins A, C and E which work together to lighten and brighten skin. Nourishing hyaluronic acid and squalene gives the delicate eye area a much needed boost of moisture and help to fill in fine lines. Many of the best eye creams contain green tea, which is high in caffeine, as well as antioxidants and skin strengthening peptides. This formulation has several ingredients for lightening skin that could be effective against dark undereye circles. Tocopherol acetate (vitamin E) has shown a depigmentation effect in studies by stopping the action of tyrosinase, an enzyme that boosts the production of melanin. The whey protein in this formula also contains glutathione, which has shown promise in clinical studies of also reducing discoloration. The depigmentation effects from both of these ingredients can help treat the darkness underneath the eyes to make the skin appear brighter and lighter. Palmitoyl oligopeptide stimulates collagen production, essentially fortifying skin. By strengthening the skin under the eyes, this cream helps skin become less transparent, which in turn keeps the capillaries and veins responsible for dark undereye circles less likely to show. Meanwhile, caffeine helps eyes de-puff, as does the soothing cool metal tip applicator. Gently rub the applicator tip back and forth along your undereyes to help puffiness go down. 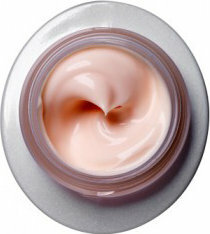 In addition to hydrating ingredients like jojoba oil and shea butter, which provide an abundance of moisture, Ole Henriksen Banana Bright Eye Cream contains the potent depigmentation agent vitamin C. This well-researched vitamin has been shown in many studies to help halt the production of melanin, making it a great ingredient in helping to reduce darkness under the eyes. In fact, Ole Henriksen’s Banana Bright Eye Cream contains the most stable form of vitamin C, tetrahexyldecyl ascorbate. In studies it has shown depigmentation effects as well as the ability to stimulate collagen production, improving not only discoloration but wrinkling as well. Another ingredient, tocopherol acetate, or vitamin E, has also shown the ability to inhibit tyrosinase, the enzyme that promotes melanin production. Together, vitamins C and E are a potent combination, working even more effectively to reduce pigmentation. The skin brightening and depuffing ingredients in Vichy LiftActiv include vitamin E (tocopherol acetate) and caffeine. As previously mentioned, vitamin E has shown depigmenting properties by blocking the tyrosinase enzyme that contributes to melanin production. This is significant as it can help reduce the dark discoloration that results in undereye darkness in the first place. The caffeine in this formulation works on depuffing and calming the undereye area to keep it from becoming filled with fluid and making the eyes look swollen and tired. Rhamnose, on the other hand, helps promote collagen synthesis. It has been shown effective in studies in “skin remodeling.” This ingredient can potentially strengthen skin layers to keep them from being transparent enough to show all the blood-filled capillaries that often exacerbate the look of dark undereye circles. All in all, this cream has proven active ingredients to help with dark circles and puffiness. The Skinceuticals A.G.E. Eye Complex is so-called because it is formulated to fight aging skin caused by advanced glycation end-products (AGE). AGEs accumulate as we age and can be very harmful. They are created when protein or fat combines with sugar, resulting in glycation. The body typically fights off these AGEs with antioxidants, which is very important, because high levels of AGEs can result in diseases like diabetes. When it comes to skin, AGEs are considered to accelerate aging and to lead to common skin problems like wrinkling and sagging. Key ingredients in the Skinceuticals A.G.E. Eye Complex include a combination of flavonoids, ascorbyl glucoside and optical diffusers designed to reduce the appearance of dark circles. Flavonoids are plant compounds that act as antioxidants to fight off free radicals and oxidative stress. Oxidative stress refers to an imbalance of free radicals and antioxidants in the skin. Regularly nourishing the skin with powerful antioxidants can help correct this balance. Flavonoids also help to stabilize collagen and elastin, two protein fibers crucial to skin structure. Basically, collagen and elastin keep skin firm and flexible, and a firmer eye area means less dark circle visibility. Ascorbyl glucoside is a form of vitamin C, an established and tested de-pigmenting agent that can lighten dark circles with regular use. Finally, the optical diffusers in this eye cream basically disperse light to reduce the appearance of uneven skin tone and discoloration. There are so many great ingredients in IT Cosmetics‘ Bye Bye Under Eye Cream, we almost don’t know where to start. Perhaps we’ll begin by saying that the special blue tint in this eye cream helps to counteract the appearance of dark circles, making you look less tired and far more awake. That’s an immediate plus that many black circle sufferers will be pleased to note. After all, nothing quite makes you look older than looking tired. The collagen and caffeine in this formula help to firm up skin and depuff, respectively. By overall fortifying the delicate skin area, these two ingredients can take years off your eyes. Vitamin C is another noted and highly studied ingredient that helps to not only reduce pigmentation but also stimulate collagen production. Two birds, one stone. Retinol, another potent ingredient, gently exfoliates, fades discoloration and also stimulates collagen production to help strengthen and revive. A stronger skin matrix allows for less transparency as well. La Roche-Posay’s Pigmentclar Eyes is an ideal solution for dark circles. It contains phe-resorcinol, a depigmentation agent the company says is 100x more powerful than kojic acid, itself a very potent depigmentation agent. L’Oreal, the parent company of La Roche-Posay, has conducted studies that show that phe-resorcinol can greatly minimize the appearance of dark spots, and so it’s included in the entire Pigmentclar line of products. Other active ingredients in this formulation include niacinamide, gingko biloba extract and caffeine. Niacinamide, or vitamin B3, has been shown in studies to treat hyperpigmentation, wrinkles, elasticity, sallowness (yellowing) and red blotchiness. The gingko biloba and caffeine in this formula help constrict blood vessels to keep them from darkening the undereye area. As for puffiness, it is reduced by the cooling and soothing metallic tip used upon application. The final step in producing vibrant eyes involves the use of light reflecting pearl pigments that diffuse light to brighten the undereye area. This is a serum developed for nighttime use. It is important to apply some creams during the night when they can absorb more readily into the skin because of increased blood flow. Nighttime is also when our skin repairs itself, and any help we can give it ourselves is quite important. The Estee Lauder Advanced Night Repair Eye Serum contains algae extract and a variety of plant extracts, including mulberry root, soybean, barley and chamomile. Algae extract is an antioxidant and humectant, which is a substance that can help bind water to the skin, effectively hydrating it. Mulberry root has been shown in studies to have skin lightening effects. Soybean extract is an antioxidant and anti-inflammatory that can help calm skin, thereby reducing puffiness. Barley extract has been known to provide a soothing effect in addition to being an antioxidant. Chamomile extract is a very powerful anti-inflammatory, shown in studies to be superior to hydrocortisone. These soothing antioxidants can all help with depuffing. Tocopherol acetate, or vitamin E, is another very strong antioxidant that has also shown skin lightening activity in studies. Caffeine rounds out the list by helping to depuff prominent undereye bags. Origins Ginzing Eye Cream promises “to brighten and depuff” eyes that have become dark and swollen from fatigue and exhaustion. The main ingredient in this formulation is coffee. Caffeine helps alleviate water retention, the primary cause of puffy eyes. Even drinking it has shown to be able to achieve this feat. Undereye bags can also be caused by allergies and a bout of crying, both of which cause the eye bags to retain water. Research has also shown that caffeine can reduce puffiness and dark circles as well. Another helpful ingredient is cucumber fruit extract. Cucumber fruit extract has been shown in studies to reduce melanin content of the skin. This can help reduce the pigment in dark undereye circles and brighten the area. Cucumber also has a cooling effect that can help alleviate puffiness. Algenist Complete Eye Renewal Balm is loaded with peptides, antioxidants and skin brighteners. Peptides are linked amino acids in a chain that can reduce the appearance of wrinkles in a number of ways. Some stimulate collagen while others help to relax facial muscles to decrease expression lines. In addition to reducing wrinkles, peptides can potentially strengthen skin, thickening it to make it less transparent. Less transparency in the eye area translates to less visibility of blood vessels, which can account for that dark look under the eyes. Moreover, the already thin skin around the eye area gets even thinner as we age, so it’s important to try to prevent this. In this formulation, tetrapeptide-21 stimulates collagen production, dipeptide-2 is said to improve lympathic circulation, which can potentially help with dark circles, palmitoyl tetrapeptide-7 is an anti-inflammatory that can potentially curb glycation, a natural process that damages skin structure, and palmitoyl oligopeptide is also said to stimulate collagen. This formulation also contains aloe barbadensis leaf juice and powder. This is a very soothing anti-inflammatory ingredient that can calm skin and reduce redness. Cucumber fruit extract can reduce melanin in the skin, making dark circles less obvious. Caffeine helps reduce puffiness by constricting blood vessels. Tocopherol acetate (vitamin E) and green tea leaf extract are both antioxidants that work to reduce free radical damage that causes wrinkling. There are definitely a lot of goodies in this formula that should calm, sooth and protect your eye area. Hyaluronic acid and caffeine are the main ingredients in NeoCutis’ MICRO EYES cream. It also includes peptides to help strengthen thinning skin and vitamin E for its antioxidant powers. Another key ingredient is a chamomile extract called bisabolol, which calms and refreshes. Hyaluronic acid is absolutely imperative for proper hydration. It retains 1,000 times its weight in water, which amounts to about six liters. That’s…A LOT. It’s this remarkable water retaining ability that makes it so great for providing adequate amounts of moisture to the skin. It also has the effect of plumping up lines to make them less noticeable. Caffeine temporarily constricts blood vessels around the eye area to make puffiness less conspicuous. Peptides, as previously mentioned, can help greatly with reducing wrinkle appearance by stimulating collagen synthesis. More collagen in the skin allows it to be stronger and thicker, which is ideal for the eye area as it is already very thin skin. Transparency can be reduced by fortifying this area, and thus allowing dark circles to be less prominent. One of the causes of dark circles is the appearance of blood vessels through the thin, almost sheer skin of the undereye zone. Vitamin E is a potent antioxidant, but it has also shown depigmenting abilities through its inhibition of tyrosinase, the enzyme responsible for melanin synthesis. This, as you can imagine, can also help reduce the appearance of dark circles. There are several key ingredients at work in the Bioelements Multi-Task Eye Creme. Phytonadione, or vitamin K, is the one that specifically targets dark circles. Vitamin K helps blood clot better and is an effective treatment against bruises. In studies, it has shown to be “moderately effective” for the treatment of dark circles when combined with retinol (vitamin A) and vitamins C and E. Consequently, this formulation also contains vitamins A, C and E. Cucumber and aloe vera are soothing ingredients that can reduce pigmentation and redness. This cream is also light and non-greasy and absorbs easily. There are several interesting ingredients in this eye cream from SkinMedica. For starters, there is TNS, or human fibroblast conditioned media. TNS is a combination of several natural messenger proteins that has been shown in studies to improve “textural irregularities” and wrinkles. New collagen formation was also detected. This can potentially help firm up and strengthen the undereye area to prevent transparency. When it comes to dark circles, both N-Hydroxysuccinimide and chrysin combine to reduce them. N-Hydroxysuccinimide works by breaking down blood-originated pigments in the undereye area that are largely responsible for dark circles. Chrysin is an antioxidant and anti-inflammatory that helps reduce both dark circles and puffiness. It is also an effective skin conditioner, making it softer and helping to ease the appearance of wrinkles. The boron nitride in this cream helps disperse light, making dark circles less prominent and obvious. Didn’t log enough zzzzs last night, and it’s showing up under your eyes? Smooth on Formulyst’s anti-dark circle eye cream. A combination of vitamins, amino acids and minerals targets dark circles and puffiness. Three of the cream’s most powerful ingredients are naturally derived- chenopodium quinoa seed extract, caffeine and butcher’s broom extract help to leave skin looking brighter and tighter. This formulation claims to treat dark circles and puffiness with a unique combination of tetrapeptides and plant extracts. Tetrapeptides help support natural collagen, which is very helpful for thinning skin, as thin skin can show even more of the blood vessels in the undereye area, accounting for dark circles. In fact, loss of elasticity and volume are major reasons why undereye circles develop in the first place, so looking for a cream with anti-aging benefits can be very helpful in dealing with this issue. The plant extracts in this cream are jojoba and Spilanthes acmella flower extract. The Spilanthes flower is also called the “toothache plant” thanks to its pain-relieving nature. 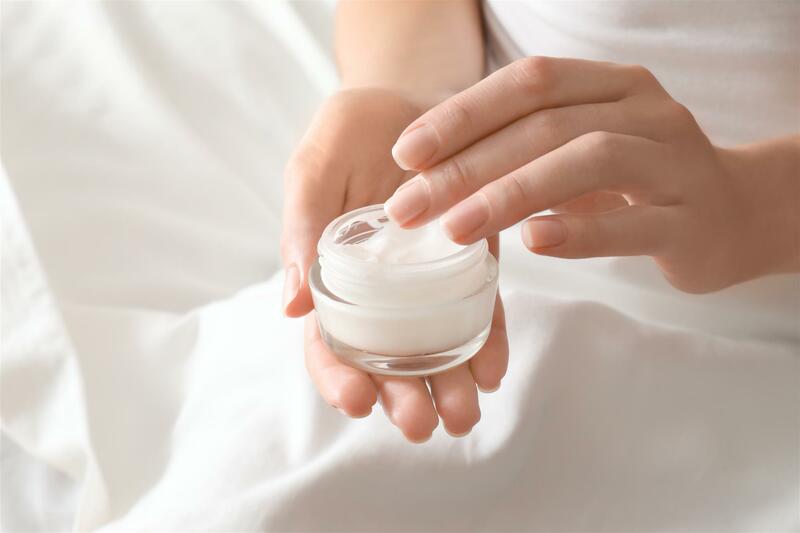 In skincare products, it is a formidable foe for wrinkles, acting as a skin conditioning agent. Jojoba oil also nourishes and conditions to provide hydration. It also contains vitamin E, known for having a positive effect on dark circles. Furthermore, the hyaluronic acid in this formula helps hydrate eyes that may look especially puffy, tired and fatigued, whether it’s because you didn’t get a good night’s rest or you’re simply dehydrated. 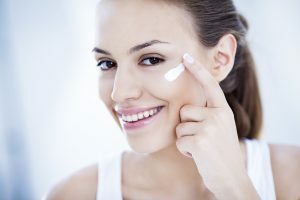 Popular over-the-counter brands include Clinique, Shiseido, La Mer, Roc, Olay, Origins, La Prairie, Chanel, Obagi and Estee Lauder, but how do these products stack up against each other and how do drugstore brands compare to clinical products? You’ve probably heard about ingredients like vitamin C, vitamin K, retinol, caffeine, teamine, hyaluronic acid and peptides. How effective are these ingredients? What ingredients are effective at tightening and lifting the skin around the eyes? What is your favorite eye cream? Which formulations do you prefer? Next, write your own review. For some, they appear when you don’t get enough sleep. For others, they are always visible and worsen with age. Dark circles are one of the most common skin problems. To make things even worse, you probably have people telling you that you look tired, even though you had more than enough sleep. So what actually causes the problem? Truthfully, that depends on the color of the dark circles. Purple: Usually genetics. Common with individuals with darker skin tones. Red: Broken capillaries due to aging. Blueish: Lack of sleep. Too much rubbing. Irritation. Dark circles under the eyes can be effectively treated with a good under eye cream. For most individuals, dark circles aren’t the only issue. Look for brightening products that not only address pigmentation issues but also strengthen the skin around the eyes. Vitamin K is very effective. Also look for products that contain peptides, specifically peptides that support natural collagen production.